Amboy is a town in the eastern Mojave Desert and is located about 60 miles northeast of Twentynine Palms. The Atlantic and Pacific Railway and a host of mining claims helped established the town in 1858, though it didn’t become official until the early 1880’s. 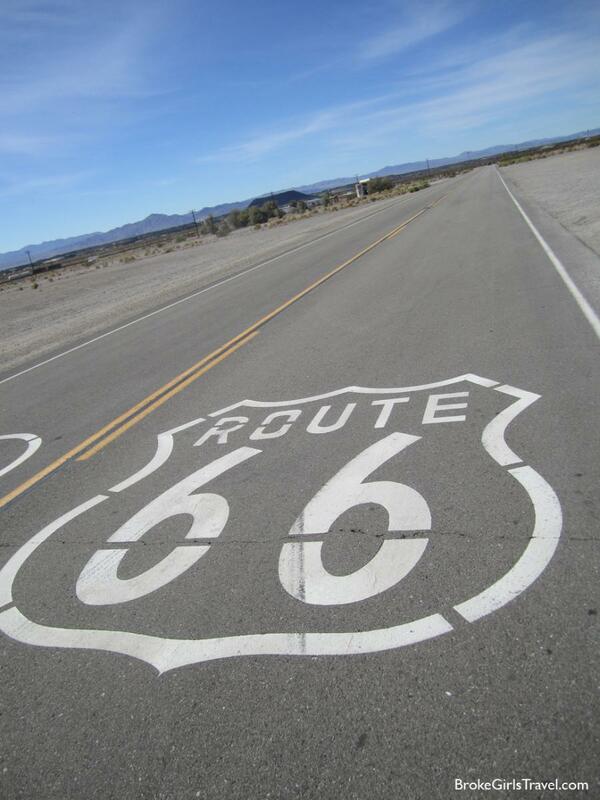 While it was steadily growing, it didn’t hit “boom town” status until the opening of Route 66. 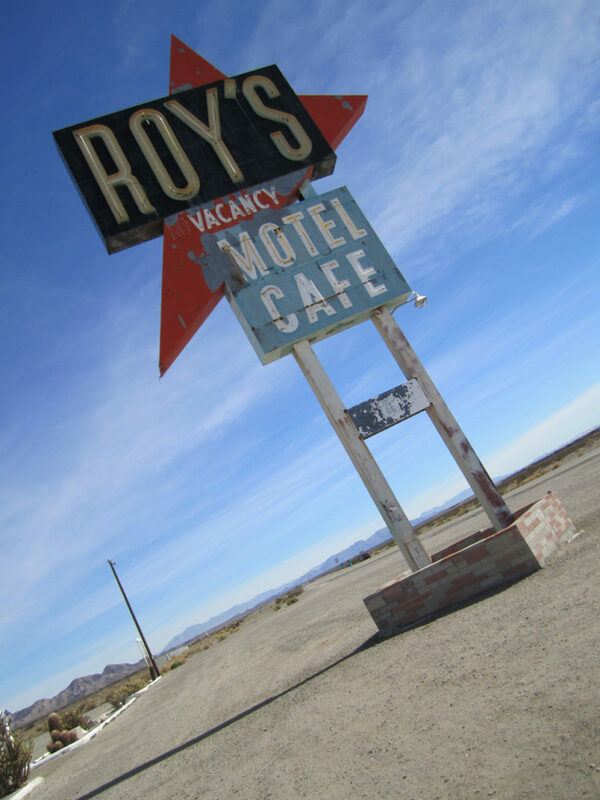 Local businesses popped up to service those passing through town– places like Roy’s became legend. Now the town has between 4 and 8 residents, depending on which statistics you believe. The school buildings are closed. The motel buildings stand open and empty — though the motel office looks as though you could walk in and conduct business just as soon as you wiped the dust off the piano. But I wouldn’t give up on this place quite yet. While Roy’s Cafe isn’t quite in full operation, they are selling some snacks, cold water and Route 66 memorabilia. The gas station is once again pumping gas. The bathrooms are operational. Apparently, this is all thanks to Albert Okura, owner of the Juan Pollo restaurant chain, who bought the town in 2005. Rumor has it there are plans to make the cafe full operational. Right now, it’s a place that gives visitors a glimpse into the past. And people are taking advantage of it– the place was hopping when we were there. Cars were at the gas pumps. People were getting snacks. And above all else, they were out taking pictures of the Roy’s sign — a symbol of a bygone era made famous by the passage of time and the movies.